2/9/2018 1:55:10 PMWhat will you be in Elyria? I want to know what you guys plan to do when you create a character? I am honestly going to try to become a traveling weapon smith, i go from town to town selling weapons and other goods. Hello! I'm very interested in developing the knowledge of herbs and agricultural practices when the game is launched, anything botany related. Baker on the side. I'm going for mayor abs developing a large trade city. Imma be a blind homeless man. Cause all interesting stories have one and I wanna be around to "see" things go down. Probably join or even create a "ravaging horde" of horse warriors and wreck havoc across the land. Creating legends, one game at a time. Main character is going to be a mayor, managing a town sized settlement (population 100 +-20, including NPCs). Nothing too big since it's just gets more time consuming and complicated. I'm also planning to run some sort of manufacturing thing as well. Currently it's either wines or silk. Alt will be a Kypiq bard who travels around the world doing and seeing all kinds of stuff. Backer #12. Friend code: 9B7EDE. My goal is cartography. I plan on exploring every nook, mapping each place. Landmarks, etc. but also maps for resources and routes. Eventually I'd like to also do contracts and see where that takes me. I'm so excited. 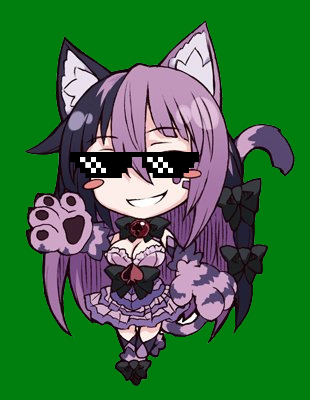 I will form a small band of ragtag warriors, and bring them on many shenanigans throughout Selene (EU). Tales will be told of our great balls of steel. We will retire as veteran commandos, or high-security inmates in the king's dungeon. As a countess I want to build a community that supports its people in a place that is fun to be in and interact with as many people as possible! I also want to have an alt who is a ward of the state and be the other social status as well to see how the gameplay differs between them! Brea Samh County, Duchy of Aquitania, Kingdom of Tyria. I'm leaning heavily toward a humble existence as a farmer or animal breeder. I plan to be a Kypiq, so I'll probably grow an orchard or raise silkworms...or both! "You can never have too many chickens." ~Friend code BD2C5A~ Farmer. I want to be involved in cartography as well as establishing and teaching at a school. I want to make the game more beautiful and interesting being a sculptress. I think I’ll go into this very open minded. Likely to start out small, wandering and hunting/gathering then possibly settling down and buying a plot of land to cultivate. No real ambitions at this point but to survive and serve the Kingdom should it be needed.